Our Plantain tree with fruit and two suckers withstood Hurricane Sandy in October 2012. Today, it fell. The bunch of plantains could have stayed for two weeks more, but they are fit and ready none the less. We consider plantains to be the cousin of bananas. 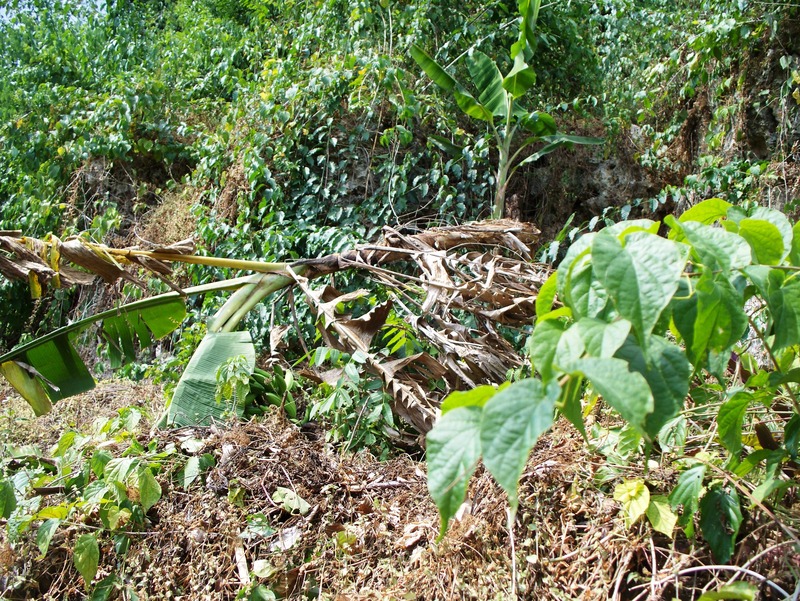 Plantain trees are more yellowish in hue than banana trees and the fruit . . . plantains, are bigger than bananas. Plantains are more starchy than bananas and cannot be eaten raw. In our home, we love fried ripe plantains and we eat it boiled too. 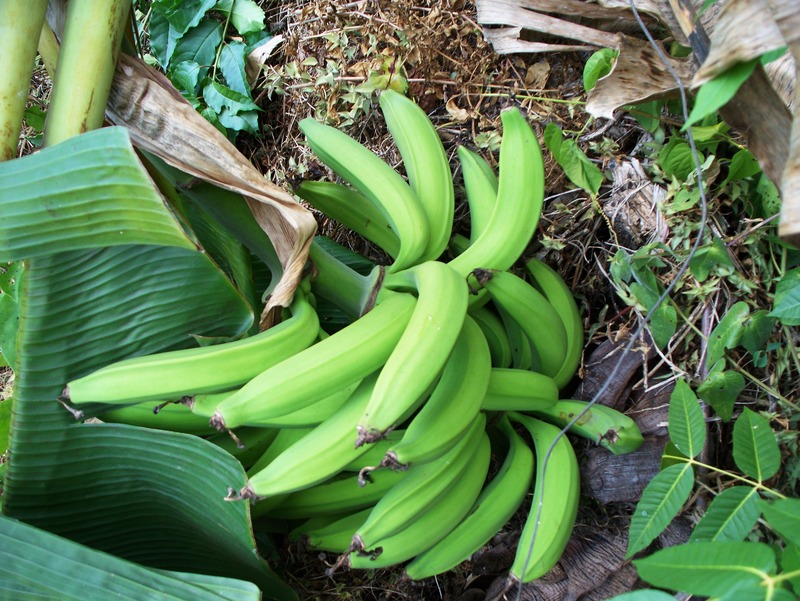 And even though green plantains can be fried, salted, and eaten as plantain chips . . . nothing beats banana chips. See eight recent photos (2017) of our plantain trees.